Dirty and damaged carpets are now one of the most common problems that every house owner deals with nowadays. And it is really crucial to maintaining them neat and clean regularly to prevent health problems. We at Sparkling Cleaning Services render you the most proficient services including Carpet Dry Cleaning Brisbane, Carpet Cleaning Brisbane, Cheap Carpet Cleaning Brisbane, Professional Carpet Cleaning Service and many more. 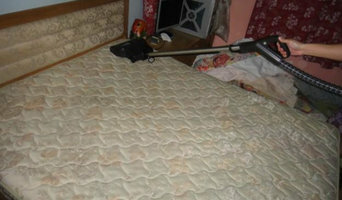 You can rely upon us we give the best carpet cleaning services in Brisbane at really affordable rates. Call us for instant booking on 0410453896 or you can reach us online too. At Oops Tile and Grout Cleaning Brisbane, we provide a professional & cost-effective solutions for tiles and grout cleaning, bathroom tile cleaning, shower tile grout cleaning, tile re-grouting, tiles polishing, grouting cleaning , tile stripping and tile sealing services. The tile and grout cleaning is very imperative, over the time tile absorb germs, bacteria, mould, grout becomes black and tiles become dull. These germs are not visible by naked eyes. Our professional tile cleaners are expert in steam cleaning your tiles using echo friendly chemicals which kills the germs and removes the mould. After the tile and grout cleaning, your home or offices tiles will be restored to original look!!! 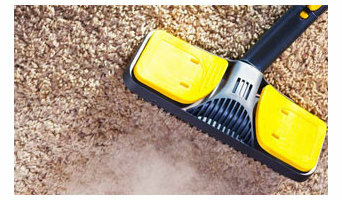 Tip Top Carpet Cleaning Brisbane group is your nearby cleaning organization which bargains in sorts of floor covering related cleaning like steam, cleaning etc. Tip Top Carpet Cleaning Brisbane group is famous organization which offers you high caliber of floor covering steam cleaning result at extremely sensible costs. Spotless Mattress Cleaning - Mattress Stain Removal Service is one of the most important cleaning procedures around the house. Many people would not be aware of the fact that their mattress is actually one of the major house pollutants, especially older mattresses. Given the nature and make of older mattresses, they tend to accumulate dust, pollen, bacteria, mould, fungi and a whole range of other irritants and pollutants which could eventually prove unsafe. Over a period of time, everyday use of the mattress leaves skin residue in the form of millions of dead cells, which take place to be a substantial part of the visible house dust found around the room. The accumulation of dead skin cells over time will inevitably lead to the forming of dust mites, a colony of tiny insect invaders that can cause many health problems including skin rashes and other external irritations. Using our all-natural patented cleaning system, our Mattress Steam/Dry Cleaners Melbourne technicians will be able to identify any possible issues before they start their work during a routine mattress pre-inspection. 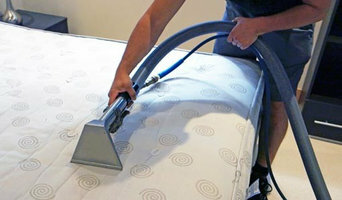 Do you require a mattress cleaning service in Melbourne? Book here or call 1800 092 119 for a free quotation from one of our friendly customer service team. One of the most important parts of cleaning your upholstery is to maintain its longevity. Our professional cleaners know how to eliminate the hard to remove stains and they use the best appliances. We provide you services including Suede sofa cleaning, Sofa Cleaning Services ,Couch Steam Cleaning ,microfiber couch cleaning, Ottoman cleaning, sofa bed cleaning, chairs cleaning, Furniture Cleaning & Protection Scratchcard Stain Protection and more. We deliver the guaranteed services to our customers at really affordable rates. We have many reasons why you should hire us. So without looking any further pick your phones and dial our no 0414 530 372 now for same day booking. eeping your carpets clean is an ongoing process, especially where they are in areas with a heavy footfall. Daily vacuuming is only part of the process; every now and then it pays to clean them using a carpet cleaner. It can be a heavy and laborious job, so why not take the strain out of things and have the professionals do the job for you? Our carpet cleaning service in Brisbane takes the hassle out of cleaning your carpets, and we offer a full range of solutions to keep your carpets in top condition. We can provide all cleaning services for your carpets and for your upholstery, and do so using the correct techniques and the most up to date equipment. Our highly trained and experienced team of carpet cleaners are the best in Brisbane, and with many satisfied clients so far we guarantee a quality job every time. We can tackle any type of carpet and take on any job, no matter how big or small, and with excellent rates our clients are provided with the most cost effective carpet cleaning solutions available. One major advantage of using a professional carpet cleaning service is that we know how to clean carpets correctly and without risk of damage. We do so by taking the utmost care and attention in making sure your valuable carpets an upholstery are cleaned in the most effective and careful fashion. It’s our pleasure to make sure you finish the day with beautifully cleaned and cared for carpets, and we take great pride in our reputation for excellent customer service. If you have carpets that need cleaning, why not give us a call now and we will be more than happy to provide a no obligation quote? Whether you're moving out or selling or just want a proper clean count on clean can help. They have great cleaning staff all over Brisbane and ready to help at a moments notice. 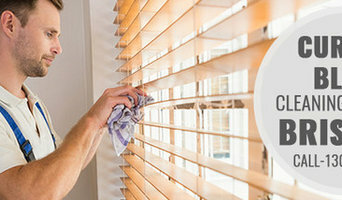 Cheap Bond Cleaning Brisbane is a House Bond Cleaning company who offers bond cleaning services, carpet steam cleaning services and pest control services at cheap price. In cheap bond cleaning, we provide a 100% satisfaction guarantee to our customer with 7 days of service guarantee. We are the best choice for getting bond money easily because our cleaners do not compromise with the quality. At Back2New Cleaning, our tile and grout cleaning prices are in good deals and we provide services like bathroom tile and grout cleaning Brisbane, tile cleaning and sealing Brisbane, tile cleaning Brisbane. So book your booking today and call us. At Marks Carpet Cleaning We have a crew of best carpet cleaners who have many years of experience in carpet cleaning. And we have been providing the best carpet cleaning services all across Brisbane. Our technicians use the safest and eco-friendly appliances for the carpet cleaning procedure. We have become Brisbane's most favourite company for carpet cleaning. We are available for you 24/7 we provide carpet cleaning services on weekends as well. Reach us online for same day bookings or give us a prompt call on the number +61 414 530 372 today! Zenith Cleaning Services company is the best choice for reliable and professional Upholstery Cleaning Brisbane. We have experts who have been serving their professional upholstery services for more than two decades. While giving reliable and effective cleaning services, We have learned several techniques for cleaning all types of upholstery in your home. Our upholstery cleaners are well trained and qualified to clean upholstery professionally. Our professionals use advanced technologies and high-quality cleaning solutions to clean upholstery. We offer Sofa Cleaning, Couch Cleaning Brisbane, Leather Sofa Cleaning and Leather Upholstery Cleaning. We have a single goal in mind - give complete customer satisfaction with every task of excellent professional upholstery cleaning services. So, call us +61 414 530 372 now. Dirty and damaged carpets are now one of the most common problems that every house owner deals with nowadays. And it is really crucial to maintaining them neat and clean regularly to prevent health problems. We at Sparkling Cleaning Services render you the most proficient services including Carpet Dry Cleaning, Steam Carpet Cleaning, Carpet Stain Removal, Professional Carpet Cleaning Service and many more. You can rely upon us we give the best carpet cleaning services in Brisbane at really affordable rates. Call us for instant booking on 0414354432 or you can reach us online too. Residential cleaners in Wynnum, Queensland can provide routine cleaning, deep cleaning and end of lease cleaning. A routine service typically includes general tidying up, wiping down surfaces, dusting, sweeping, mopping, vacuuming, window cleaning and toilet cleaning. Microwave and oven cleaning, laundry and the cleaning of outdoor areas are usually additional extras. You may not have the time in between packing up and moving house, but a housekeeping professional can also provide end of lease cleaning, which typically includes everything from carpet cleaning to oven cleaning. Find companies in Wynnum, Queensland that provide skip bin hire, cleaning or rubbish removal services on Houzz. Scroll through this page to find a domestic cleaner, rubbish removalist or furniture removalist in your area. Just enter your suburb at the top of this page to narrow your search. Get contact information or message professionals directly so you can ask about rates, and read customer reviews.